Xplosiv announced today the signing of the English batsman Kevin Pietersen who will endorse the eagerly awaited International Cricket Captain 2006. Kevin Pietersen is an exceptionally talented young batsman who is one day expected be the backbone of the English XI. ‘We are exceptionally happy to be working alongside Kevin with our ICC series. He will be joining the illustrious ranks of former cricket stars who have endorsed the product, including Andrew Strauss, Nassar Hussain and, Graham Thorpe. This series has gone from strength to strength and with Kevin on board it will continue to do so’ said Jo Fawell, Product Manager, Xplosiv. International Cricket Captain Ashes Year 2005 stormed to the top of the charts last year and the series is hoping to do it all over again with the release of International Cricket Captain 2006. This latest version will once again give both cricket enthusiasts and (management) gaming fans the perfect cricket management experience and the chance to lead there own cricket team on the road to glory. Reaching the number one spot in 2005 the International Cricket Captain series once again proved its reputation for outstanding game mechanics and statistical up-to-date cricket data with series sales of over 200’000 units, in the UK. Praised by fans, the International Cricket Captain series has also received critical endorsement from former England team members. Former England captain Nassar Hussain said, ‘Only guys who really love cricket could have produced a game like this.’ Praise echoed by England Ashes England cricket team member Andrew Strauss for International Cricket Captain Ashes Year 2005 who said of the game, ‘The amount of information in this game is terrific, it’s a must for all cricket lovers’. Player Database: comprehensive and up-to-date 2006 database featuring statistics for every first class cricketer in the test playing nations each with their own unique strengths and weaknesses. Full English Domestic Season including: the twenty over cup, the county championship, the national league and one-day cups. Full international calendar of test matches and one-day internationals. The World Cup every four years including West Indies 2007. The Match Screen: Play and watch individual matches. Change tactics, select the highlight level for watching the action and view detailed stats and graphs of all the action. Transfers: Improve your squad by offering contracts to experience, youth or overseas players. Team Selection: Can you find the perfect team? Who’s in form and who’s out? Was that young fast bowler’s 7 for 12 a flash in the pan or have you found gold? Playing Conditions: Bounce, wear, weather and light; vary from fixture to fixture, and change during individual matches. Line and Length: Set a line and length for your bowlers. Select a full length or a bit of short-pitched stuff to get up the noses of the tail-enders. Find the right tactics to exploit the weaknesses of each batsman. Field placements: Study the batsman’s shot graph and adjust the field to cut off their favourite stroke or catch those nicks. 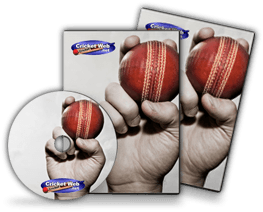 Aggression: Guide your batsman to build an innings and hit out to punish the tired attack. Two Player: Have you built an invincible county side? Play them against a friend’s. Captain any of the Test playing nations and compete in a Test or one-day series. World Rating System: Rates every test bowler and batsman. Test match and One Day International championship tables: Take your team to the top of the world.